School is right around the corner, if not already here. The ultimate goal when shopping for school is always to get the most out of your money. 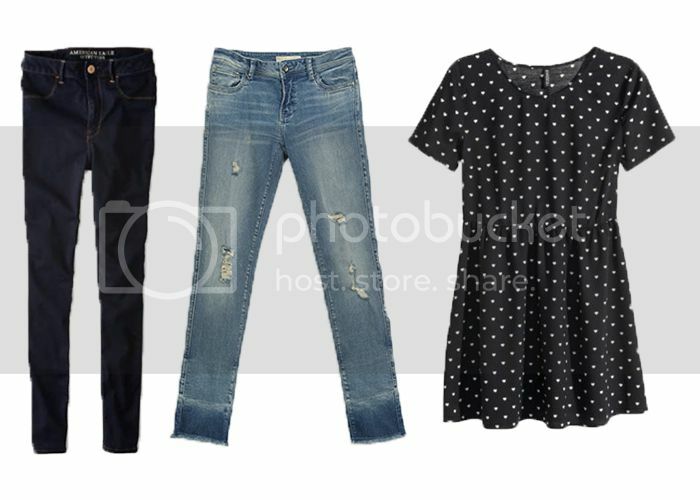 You can do this by purchasing key wardrobe pieces that can be mixed and matched together with your already existing spring and summer wardrobe. Also keep in mind, the hot summer days are only going to be for a few more weeks, while fall and winter are not too far ahead. It's a good idea to stock up on warmer clothes before hibernation season kicks in and you are left with nothing else except last year's old sweatshirt and some Ugg boots. I understand it is really hot right now, but trust me, you will thank yourself later when it begins to get a little cooler and you can start layering your summer wardrobe with one of these cute cardigans or sweaters. I always buy my oversized sweaters from H&M. The quality is pretty decent, they are really comfortable and it's an item that makes getting dressed very simple. The cardigans and jackets are great for styling with just about anything from mini dresses, graphic tees, jeans, button down shirts, or simple tanks. I am particularly really loving this black leather jacket from Zara. While most leather jackets tend to go for a moto style, I love the way this one hits right above the hips and has that 90's tomboy attitude I am really loving right now. 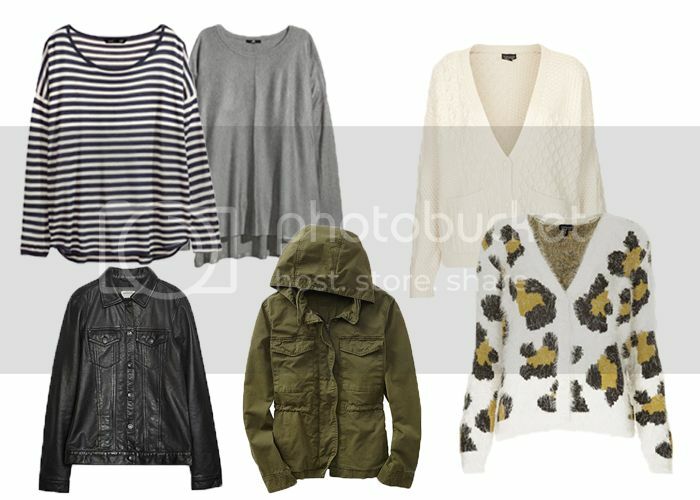 Also, the military trend is huge this fall and an olive green military jacket is a great alternative to a leather jacket. The bag or backpack you carry can really make all the difference. Just like an everyday purse, choose a neutral piece that will compliment anything you decide to wear. As far as functionality, I highly recommend a bag that is lightweight and versatile and can be worn over the shoulder or across your body. Even though I added this Alexander McQueen backpack, your school bag shouldn't cost a lot of money, because it will most likely be getting thrown around and beaten up. 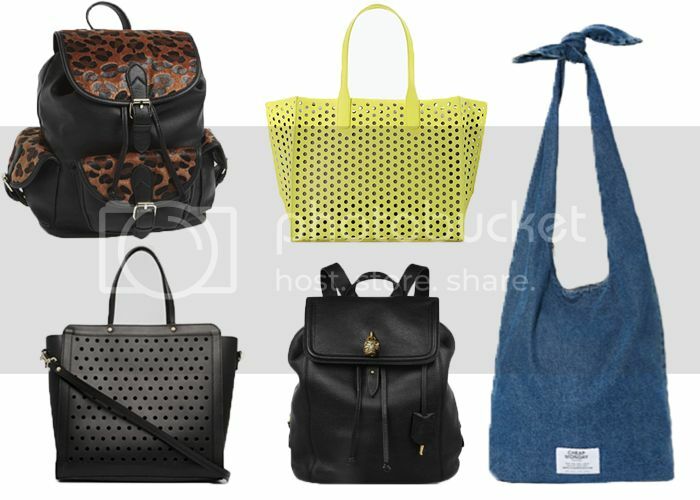 The Alexander McQueen bag is ridiculously expensive, but I thought it was just too cool to leave out, and I am sure there are knockoffs or look-a-likes somewhere with a reasonable price for school purposes. These two pairs of jeans are all you really need. The dark indigo jeggings provide for a more sophisticated look and are a wardrobe necessity that can be worn with just about anything, but look particularly great with more polished tops such as a chiffon blouse. The frayed and distressed skinny jeans are perfect for casual and laidback days, and frayed hems are really trendy at the moment. In addition, I think it is really important to have a cute and simple mini dress to transition from summer to fall. This dress can be worn on its own on hot summer days, or paired with a long cardigan, an over-sized jacket, or a parka as the weather cools down. These are pretty much the only four pairs of shoes I need for school. They are all interchangeable with one another, and are pieces that are versatile and easily styled with a wide variety of clothing. You can wear either of these shoes with your skinny jeans, cropped cigarette jeans, mini dresses, shorts or skirts. Each pair has a unique style and attitude of its own. 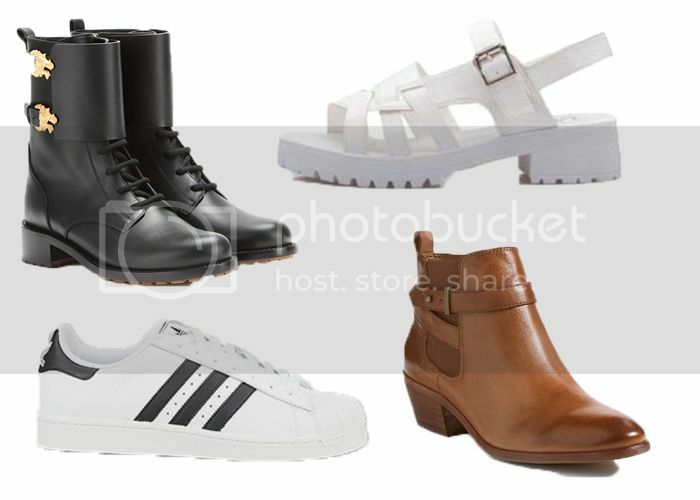 The combat boots are edgy, the sandals are simple and trendy, the ankle boots are classic, and the sneakers are sporty. Each pair is interchangeable with the next, yet will contribute a completely different attitude and look to the same outfit.